Although Maldon East station closed in 1964, the building has remained in almost original external appearance. It has seen various uses over the years including that of a bar and restaurant. It is currently used as office space which has been extended to incorporate the old platform. The pillars and wooden shuttering are still visible in front of the brickwork. The only other recently visible relic of this station complex was the goods shed which sat near where the level crossing was on the the Causeway. This shed which was used for storage, was rapidly demolished in 2008 in order to develop the site. The developers were fined the maximum allowable for failing to provide the six-week notice of demolition as required before bulldozing the landmark on the Causeway and was accused of "deliberately withholding information from the council" by magistrates. Maldon had long been an important port for the movement of goods to and from the market town of Braintree The port had suffered loss of business to the Chelmer and Blackwater Navigation, a canal that was opened in 1796 to serve the County town of Chelmsford. Plans for a railway line to Witham and Braintree and also a projected line to Chelmsford were deposited in 1845. 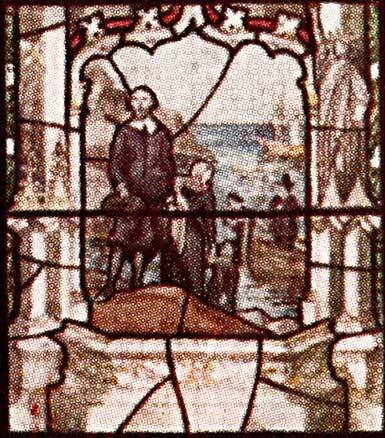 Following a private Act of Parliament Royal Assent was given in June 1846 granting power to run the line from Maldon via Heybridge, Langford and Wickham Bishops to Witham. Eastern Counties Railway purchased the shares from the proprietors and in 1847 the building contract was given to Thomas Jackson. 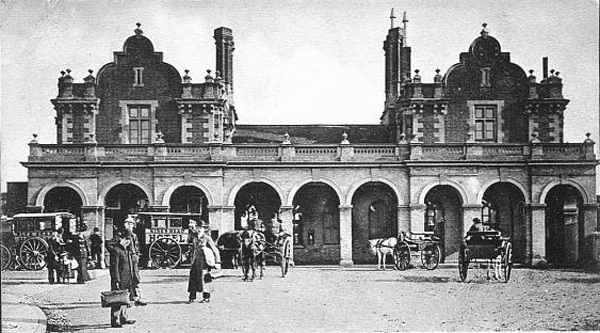 The main terminus was built on Potman Marsh and followed a very grand and ornate design and required the labour of a very large work force to construct. Two bridges were built to cross the river Chelmer and the Chelmer and Blackwater navigation with a dock constructed alongside the canal. 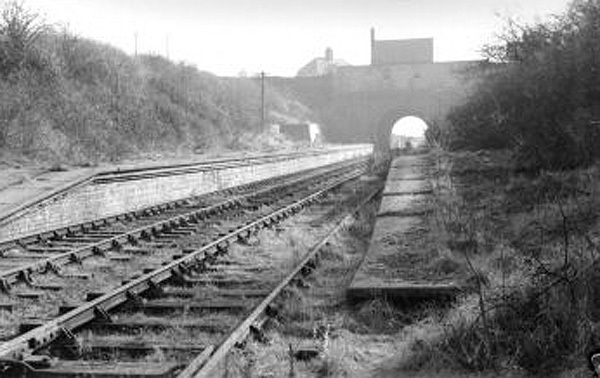 Where the track crossed the Causeway a level crossing was built and also an underpass for the passage of pedestrians and animals. The station also included a large goods yard and there were plans for a dock to be constructed within it so that goods could be taken directly from the boats to the goods trucks. Part of the uncompleted dock can still be seen today. The first goods train left Maldon East Station in August 1848 followed by the commencement of passenger services. Originally the line to Witham was dual track but due to the line not performing as planned one track was lifted during the period of the Crimmean War (1854-6) and sold to the War Office. In 1862 Eastern Counties Railway was absorbed into the Great Eastern Railway who constructed the Maldon to Woodham Ferris line including the Maldon West Station which opened in 1889. This line linked Maldon with the newly constructed London to Southend-on-sea railway which had opened the same year. In 1923, both lines became part of the London and North Eastern Railway. 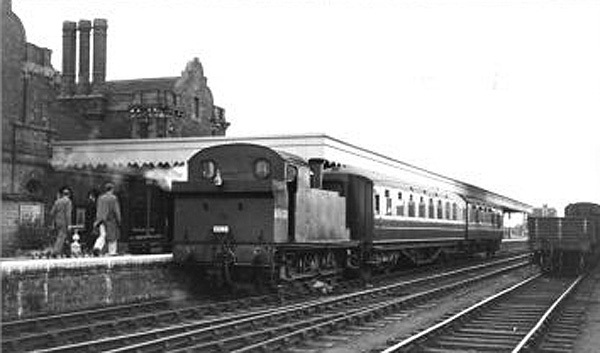 During the Second World war the passenger services on the Maldon West to Woodham Ferrers line was withdrawn as an economy measure and never reinstated. Following the war, the line continued to be used for goods traffic but with nationalisation, completely closed in 1953. The lines were now part of the Eastern Region of British Railways. The goods yard at Maldon West continued in use linking with Maldon East but finally closed in 1959 and the track was lifted a few years later. The tunnel was filled in and the goods yard turned into an industrial estate. One shed still remains and the brick wall is still in place on the bridge. The Maldon East to Witham line continued with diesel replacing steam for both passenger and goods services but the “Beeching axe” was falling on unprofitable lines and despite the public objection, it finally closed to passenger traffic in 1964. The goods service continued with a few trains a day carrying canned fruit and agricultural machinery until even that closed in 1966. 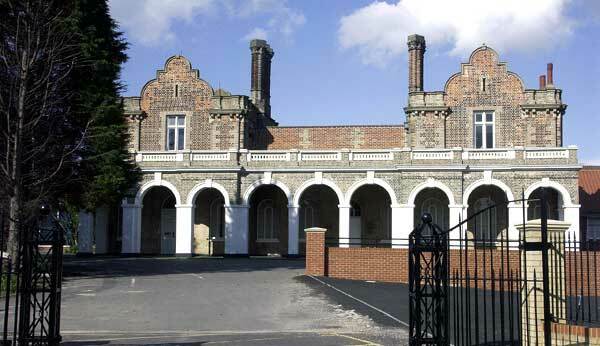 Maldon East Station building still stands in all its glory although it has not always been that way. After years of neglect because of the closure, the building was near derelict until 1974 when two local businessmen restored the building and turned it into a public house and restaurant known as the "Great Eastern". The station's new fortune only lasted until 1976 when the business was forced to close. It is now a listed building and the platform has been enclosed with brick walls. The original pillars and roof remain and are clearly visible outside and inside through the rear windows. 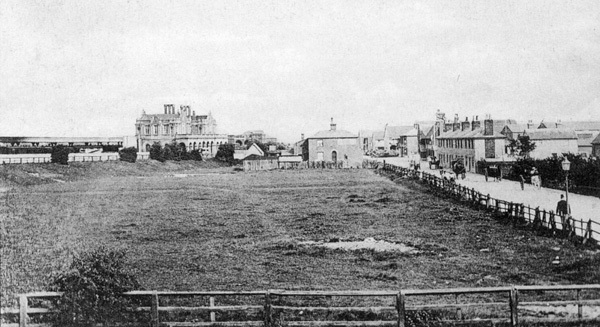 The site of the railway lines and good yard have now been developed and house a retail park. 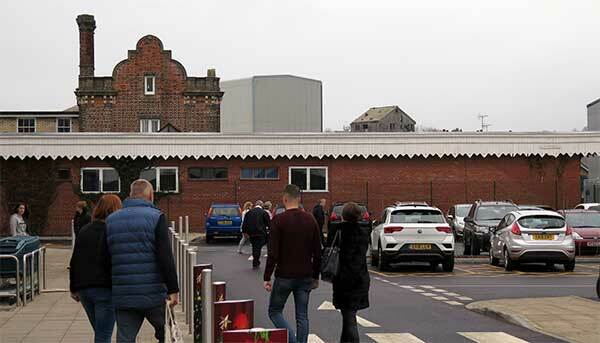 The front of the station has always been visible but the development has exposed the rear which is clearly visible from the car park. The back of the station viewed from the retail park. The pillars inside are visible through the windows. As already mentioned, Maldon West goods yard is a busy industrial estate with one of the old red brick sheds still standing. The wall over the tunnel still stands and can be seen from the road or from the industrial estate below. The Blackwater Rail Trail runs along most of the original trackbed and Langford Halt can easily be reached on foot. The platform has been restored and sits next to the Station Managers cottage which is now a private residence. 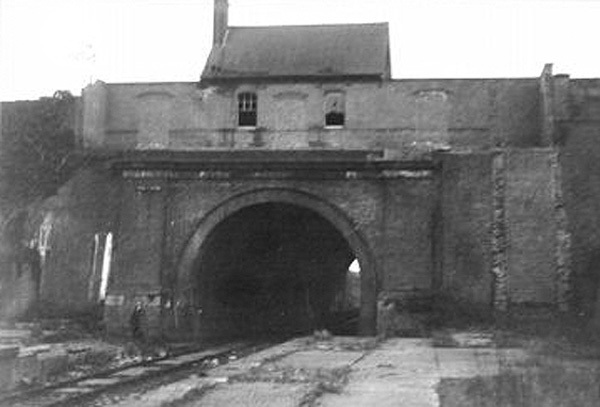 The tunnel which enabled the line to continue to Witham can be visualised but was filled in many years ago.